This little lady certainly made me work! Baby Mylie came to us at 4 weeks old and actually slept very well considering her age. The reason she made me work was that at 2 weeks older than our typical newborns, she was far stronger than most of our babies, making it more difficult to nail the squishy poses that we do. It took a lot of patience and persistence but we were able to capture some stunning shots of this little lady! If you’re even thinking about newborn portraits, contact us before your baby is due to ensure that you don’t miss this most fleeting time in their little lives. They grow so quickly and just a few weeks makes a world of difference in what we’re able to capture! In other news, can you tell that I’m a bit obsessed with prop shots lately?! I mean really, is there anything cuter than a baby in a basket?! The answer to that question is no! Meet Baby Mylie, 4 weeks new. 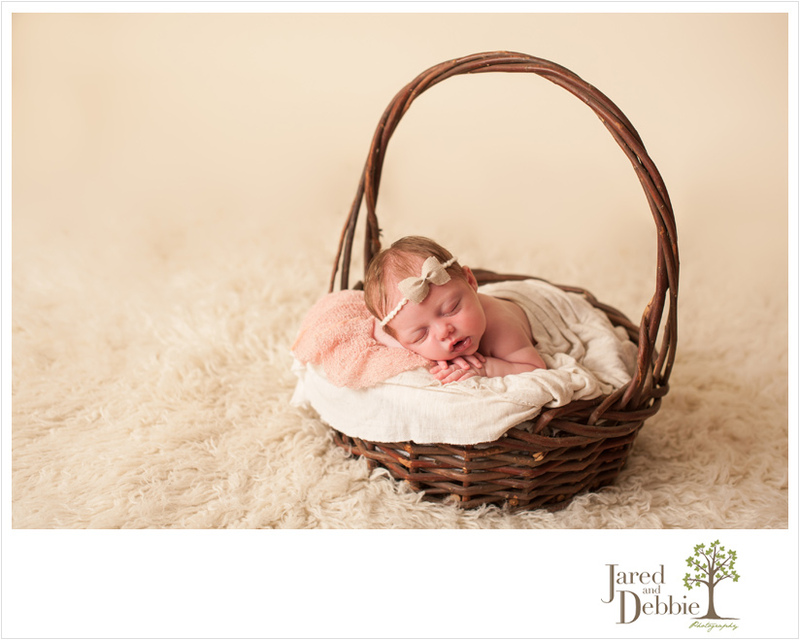 Stay tuned for more images from Mylie’s newborn session!